Our complete men’s grooming guide teaches you how to care for your facial hair for a neat yet manly look, what to do with body hair, and how to be a well-groomed man in 2018. 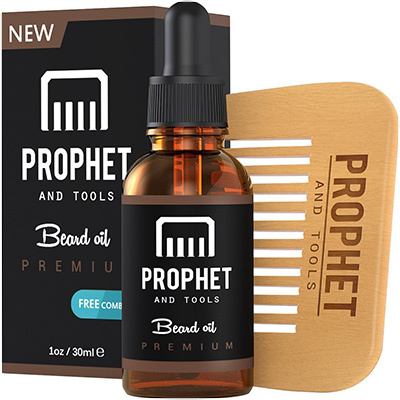 This extensive list of men’s grooming tips includes guides on how to pick the best beard and mustache style for you, what to do with unwanted hair, or how to radically change your appearance by simply trimming the eyebrows. We also talk about the best ways to care for our skin and how to groom body hair, plus a few hygiene tips that go hand in hand with grooming. Grooming a beard can be a challenge until you get the hang of it, but there are a few basic rules you need to keep in mind until you do. The first section in our men’s grooming tips article outlines how to choose a beard style that highlights your features and how to keep it under control, how to accelerate the growth process and get rid of the patchy beard, and some general tips on how to groom a beard no matter the style of your choice. 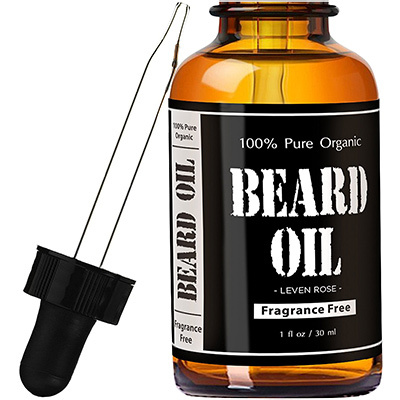 If you’re having trouble with growing out your beard or it’s simply patchy, you might want to go the extra mile and stick to a diet for hair growth. These men’s grooming tips should firstly involve eating well, avoiding alcohol and drugs, and drinking plenty of water. Mix in plenty of fresh fruits and vegetables for the vitamins, fish, nuts, and seeds for the omega 3 fatty acids, eggs for the protein, leafy greens for the iron, and whole grains for the biotin. 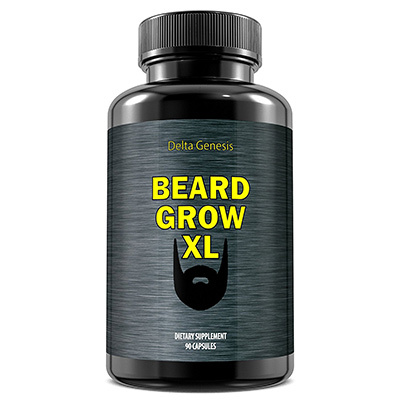 Alternatively, you can try out some health supplements specifically formulated for beard growth or multivitamins and omega-3 fatty acids supplements. 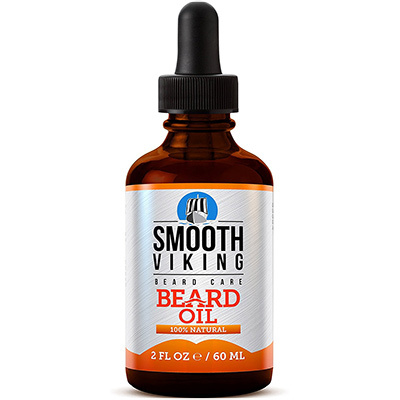 You can also help your beard hairs grow stronger and faster with topical treatments; you can read more about this in our collection of the best beard growth products. If you just decided to grow a beard, know the timeline is important. Keep into account that a healthy beard should be left untouched for the first 5 weeks as hairs have different growth speeds. This will give you a better idea of the styles that will work best for you not only considering face shape, but also the beard hair type. You should consider growing a beard for the first time during a vacation or about two months away from any important business meeting. This is one of the most looked-over men’s grooming tips on this list. Even though trimming is essential, it’s not the only thing you can do for a neat beard. 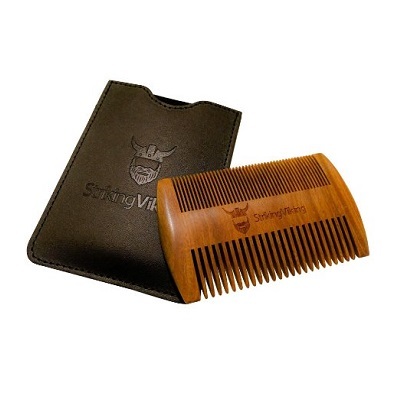 No matter the shape you choose, a daily brushing or combing is essential for a neat on-the-spot look, but it will also help in the long run; with time, your hairs will learn what you want from them and will find the optimal growth direction by themselves. 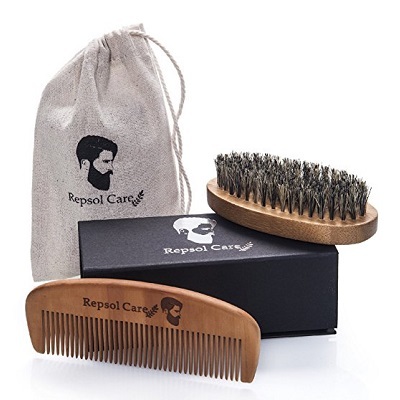 Since the material is extremely important when talking about hairs, make sure you check out the best beard brushes on the market. 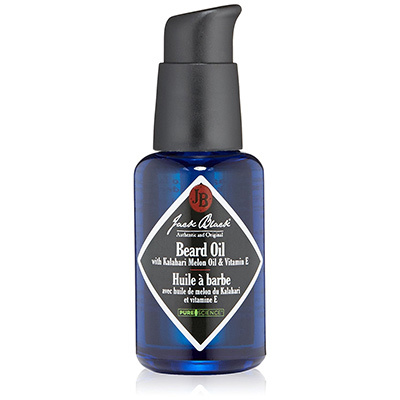 If your beard hairs are particularly stubborn, you should also use a high-quality beard oil or a styling wax, one of the must-follow men’s grooming tips if you’re growing a beard. The most important tip on how to groom a beard involves regular trimming or pruning. 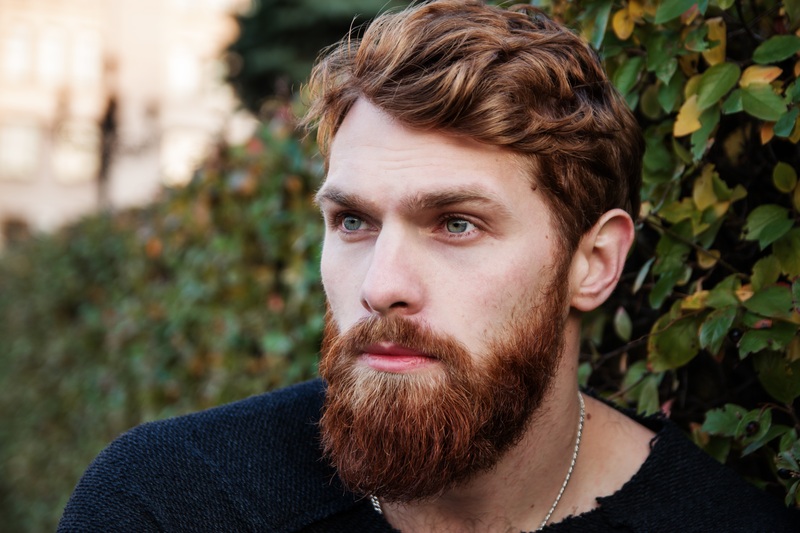 Even if you want to further grow out your beard and change the style, trimming a beard is essential after the aforementioned 5-month period for beginners. 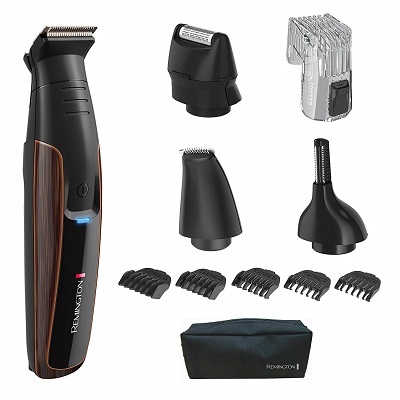 Get a high-quality beard trimmer like the Philips Norelco Multigroom 3000 and a complete grooming kit if you’re a beginner. With time, after trying out more products and finding the best men’s grooming tips that work for you, you will find the best ones for your hair and skin type. 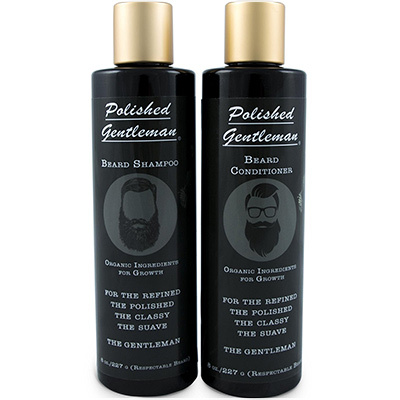 Wash the beard with special shampoo and conditioner to soften the hairs and pat it dry. Get your trimmer or clippers and start trimming in downward movements from the cheeks to your neck. 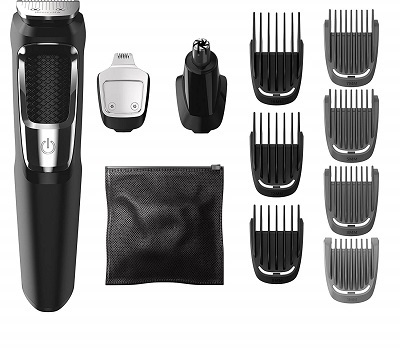 If you’re not a fan of the Multigroom 3000, you can go for another beard trimmer from this list. If you’re doing this for the first time, make sure you leave room for error and start with a bigger guard. Also, keep in mind the style you’re aiming towards – some require longer sides while other ones need longer chins to work for you. Note: One of the most important men’s grooming tips is to keep a neutral face while trimming facial hair – do not smile or make grimaces! Define the neckline that works for your beard shape. The general rule of thumb is, your beard should end about two fingers above your Adam’s apple. Oil it up, comb or brush it again, and use a pair of scissors to cut any strays you might have missed. Even though they’re made out of the same hair type, beards and mustaches require slightly different grooming techniques. The length, width, and style of your beard all depend on your facial features just like with beards, but the effects are much more noticeable. A high mustache, for example, can balance out a large chin while a wide one can even out a nose that’s a little too big AND bring balance to a long face, while a handlebar mustache will make the mouth appear wider. Chevron mustache: counterbalances large features without being too much, therefore it works for all face types except for one with small features. 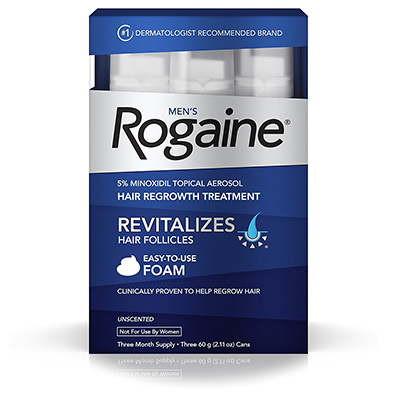 If you have good follicles, it requires minimum maintenance. Pencil mustache: broadens the lips without adding too much weight to the middle your face and adds a touch of elegance. It is, however, a high-maintenance mustache style as it requires daily shaving because it’s so thin and doesn’t work on people with large facial features. Trim down the bottom and the sides of your mustache, if any – either with scissors or with an electric trimmer. 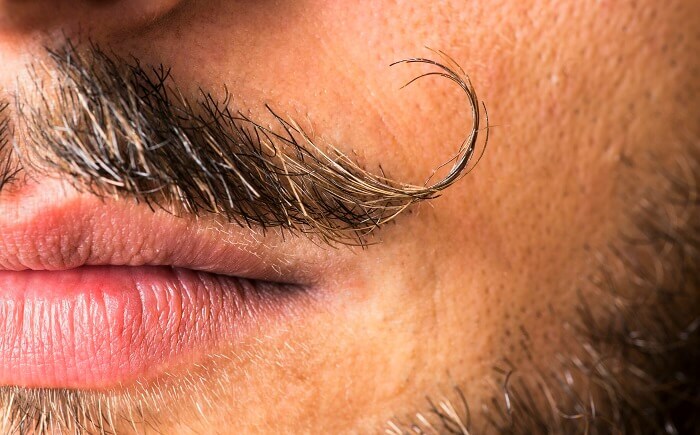 You should start from the middle of your upper lip to the sides, then back to the middle. 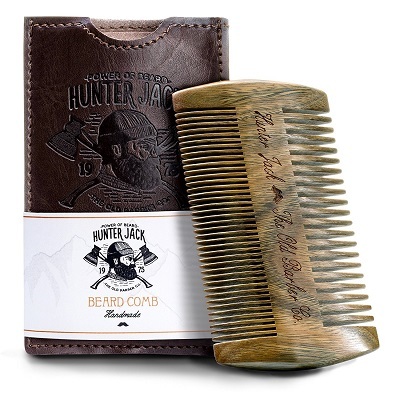 However, keep in mind the mustache style of choice – you don’t want to trim down the curls of your handlebar mustache until later. Note: It’s important to keep a neutral face – do not smile or make grimaces! 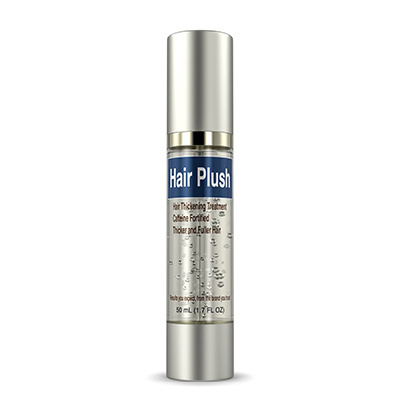 If nothing seems to work for taming your mustache hairs, you need to get the big guns out and turn on your hair dryer. This will only work when combined with wax, as the heated wax will penetrate the hairs, soften them, and make them easier to manage. After setting them in place, turn your hair dryer on cool to lock them in. This is, in our opinion, one of the most creative men’s grooming tips on this list – and it works like a charm! Cutting eyebrow hairs at skin level is a big no-no when it comes to grooming your eyebrows as this leads to unnatural looks in men. You can pluck, trim, or do both, but do so with care. The proper way to shape eyebrows starts with trimming down longer hairs. If you plan to use a little bit of wax, gel, or another product to straighten up rebel hairs, you should leave them alone. If you don’t want to spend this much time styling your eyebrows, you should also trim them down or pluck them out. Comb the eyebrows following their natural growth direction. Use a pair of scissors to trim down longer hairs, but stay away from messy hairs as these should be plucked. Repeat this process until all hairs have more or less the same length; this should highlight the natural shape of your eyebrows. Tip #2: Go on with Plucking, but Don’t Overdo it! Now that all your eyebrow hairs are at the same length, you can pick up the tweezers and start removing hairs that don’t follow the natural pattern of your eyebrow, if any. It’s important to only tweeze hairs below your eyebrows as plucking the area above them generally results in unnatural looks; however, longer hairs that are way off the natural pattern of the eyebrow are an exception to this rule. It’s important to understand this is one of the optional men’s grooming tips as some eyebrows might not need plucking or even trimming at all. The unibrow is generally frowned upon – most men choose to get rid of their unibrows for a cleaner look. However, this doesn’t mean you should pluck each and every one of the hairs between your eyebrows as this might lead to an unnatural look. Start with the thicker and darker hairs and work your way down to smaller ones. 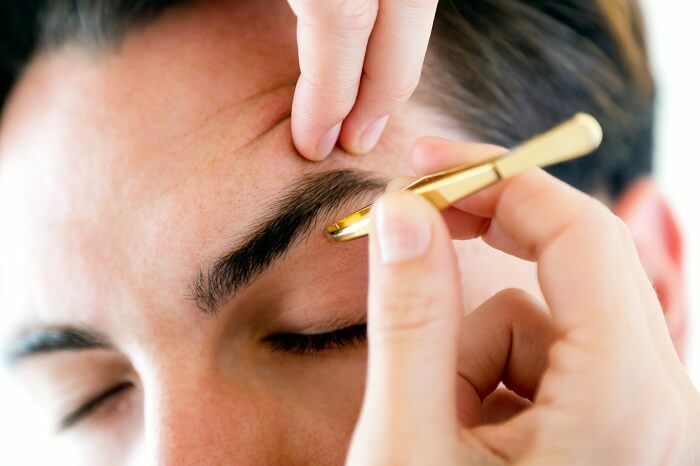 It’s easy to overdo it with the plucking the first few times, so one of the most important men’s grooming tips for neat eyebrows is to make sure you take steps back from time to time to see if you really need to continue. Tip #4: Stay Away from Razors, Wax, Threading, & the Like! Even though plucking eyebrows takes more time and can be painful, we recommend sticking to the tweezers for your eyebrow grooming. Waxing, shaving, or threading your eyebrows often leads to unnatural, boxy-looking eyebrows. A well-defined eyebrow shape is one thing, but a perfect contour line will make your eyebrows look drawn on. Nose and ear hair gets coarser, longer, and thicker with age and might also need regular grooming. We consider trimming the best way to get rid of nose hair. You can use a pair of specially designed scissors with a rounded tip for safety or you can use a trimmer that comes with a narrow head for this job. 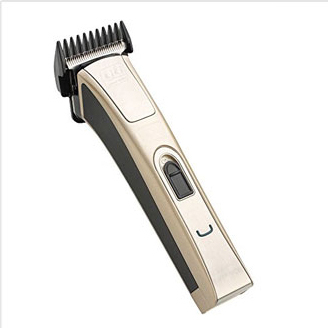 Trimmers like the Philips Norelco Multigroom 5100 or the Remington PG6025 are reliable options. Another somewhat popular nose hair removal method is waxing. 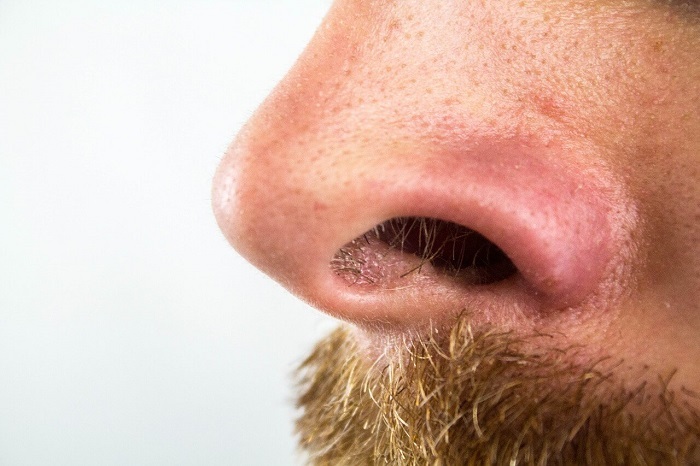 Waxing your nose hairs is more effective than trimming them down, but it also requires higher pain tolerance and a bit of effort and skill to master. Even though it requires some skill and can get painful, the best way to remove ear hair for a clean look is waxing. Tweezing leads to the same results, but takes a bit longer and can be difficult if doing this by yourself. Therefore, you can remove ear hair by trimming it down first – if the hairs are thin, you might be happy with the results. Although grooming body hair is generally regarded as optional for men, there are a few basic men’s grooming tips regarding body hair that are essential for good hygiene. Even though waxing is the most effective way of getting rid of body hair completely, few men actually want to do so. Waxing does have its benefits for athletes, models, or men with certain skin conditions; however, most of us just want to keep the bushiness under control without feeling like we’re giving up our manliness. Don’t use the same trimmer for your face and body – this is unhygienic and can backfire pretty quickly, leading to rashes or long-term skin conditions that are difficult to get rid of. In addition, a designated body groomer has all the attachments needed for this purpose. Although there are plenty of trimmers that can be used on wet skin and under running water, experts don’t recommend doing so as this opens up pores and increases the risk of irritation and infection. 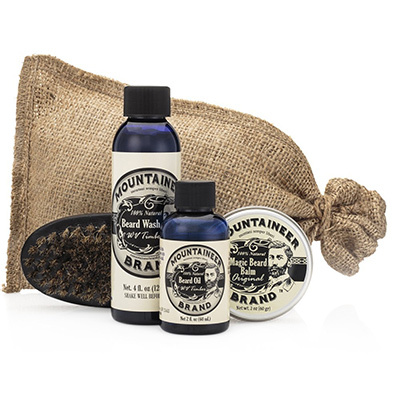 Therefore, one of the most important men’s grooming tips to avoid razor burn and irritation is to always trim a few hours after a shower and use a natural, fragrance-free moisturizer afterward. Short hair is stubby and, therefore, uncomfortable – especially when we’re talking about skin folds and sensitive areas like the armpits and groin. This is also why you shouldn’t use a razor in these areas. Tip #5: Don’t Overdo it! It’s easy to get yourself lost in trimming body hair, but take a break from time to time and ask yourself: is this really bothering me? 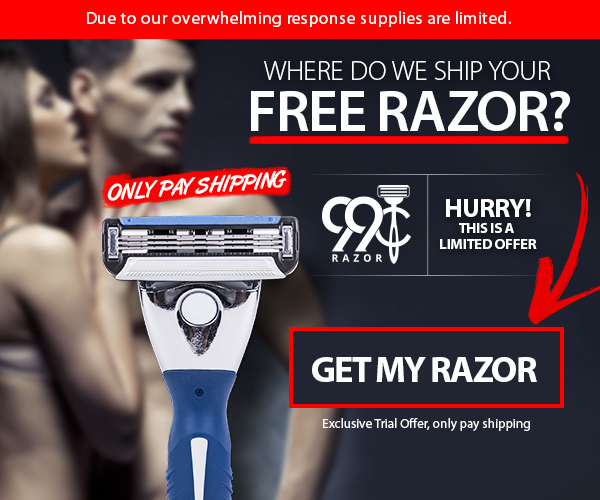 Is trimming down your arm and leg hairs necessary? It might sound silly, but this is one of the most overlooked men’s grooming tips and the main cause of unnatural looks for those just starting out their grooming routine by themselves. Grooming and hygiene go hand in hand and are essential for a healthy lifestyle. Now that we’ve tackled the main things to do for a well-groomed, neat appearance, it’s time to review the basic male personal hygiene tips that can be easily looked over or simply not done quite right. Exfoliation is essential for healthy and smooth skin and can do wonders for men who want to grow their facial hair. A good scrub will remove dead skin cells, improve blood flow to the skin and hair follicles, and surface any ingrown hairs. If you don’t want to invest in a high-quality scrub, you’d be better off with the DIY method as cheap scrubs will clog your pores and leave residue on the skin. One of the most budget-friendly men’s grooming tips is to simply mix some coffee grounds with honey, coconut or olive oil, or your regular face/body wash and gently rub it on your skin. Note: You should scrub your face and body once a week at most to keep your skin healthy. Soak your feet in hot water and soap for 15-30 minutes. Use a pumice stone to scrub down calluses on your heel and the rest of your sole. 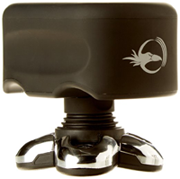 Take as long as you need, use constant pressure, and scrub using circular movements and alternating the direction. Use a foot scrub to soften the feet. Make sure you also massage the toes, especially around your toenails. Rub your feet dry with a clean towel and repeat the process every few days until you eliminate all callouses and once every week or two afterward to keep them soft. Keeping your nails neat and clean is a must for a well-kempt appearance and a healthy life, therefore this is one of the essential men’s grooming tips on this list. You need high-quality nail clippers as cheaper, duller ones will, in time, lead to nail exfoliation. Always wash your hands with warm water and soak them for a few minutes to soften the nail and prevent cracks when clipping them off. One of the first things that stand out at first glance is the hair and, while an intentionally messy look can be quite charming, few things are as off-putting as unkempt hair. Comb or brush your hair every morning and use serums to soften it or wax to model it, if your hairstyle requires so. 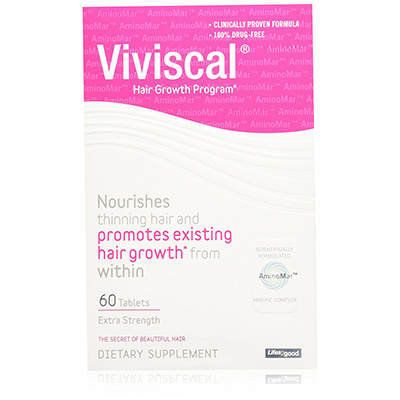 If your hair is thin or simply not healthy enough, revise your diet as mentioned in the previous men’s grooming tips regarding beard growth and try out an effective hair growth product from this list. Also keep in mind that short hair should be trimmed once every four to six weeks, while those with longer hair can wait for up to eight weeks to keep its length and up to ten if you want to grow it out. If your hairstyle of choice is shaved down to your scalp, you should shave once every two days (three at most). 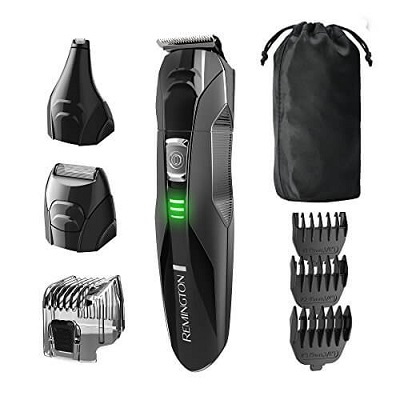 However, you will need to invest in a high-quality electric shaver for head as nicks, cuts, and irritation are no fun – especially if talking about your scalp. 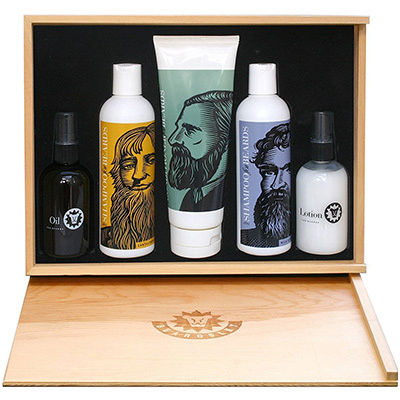 Most of these men’s grooming tips are essential for a healthy lifestyle and clean, neat looks. You don’t have to follow all of them to the letter – except, of course, for the ones in the personal hygiene section – but if you do, keep in mind that it takes much longer to grow hair than to cut it, so go a bit longer than you’d want for the first few tries. 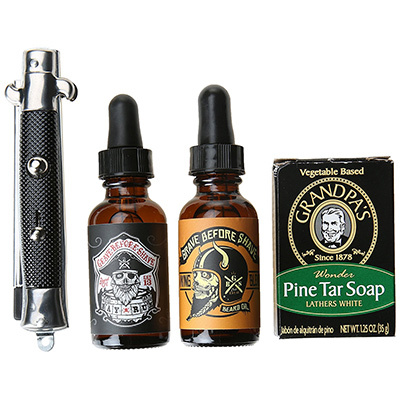 Do you have other tips you believe are essential to a man’s grooming routine?